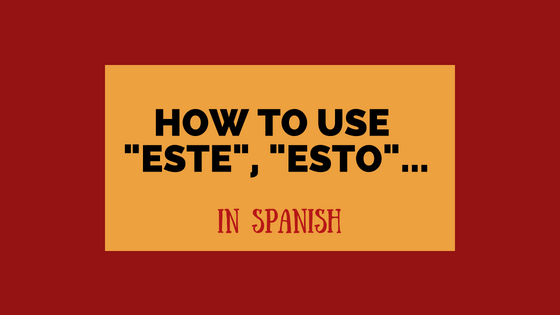 How to use este, esto … in Spanish Lately I have seen some of my students use esto when they should be using este, so I think that might be a good topic to touch in this blog. Este, esto, esta…are demostrativos, demonstratives. And they are related to distances. But we need to keep something in mind, as in Spanish we have three distances when we talk about demonstratives while English only have two. In Spanish we have aquí (here) , ahí (there) and allí (over there). Although I have to say that ahí and allí a lot of the time are interchangeable, as the demonstrative will give us the distance perceived. Ok, that is your heads up for this session. I record a quick video too, you can find it at the end of the page. So este/esta mean that, depending on the gender of the word that comes after them and estos/estas is theses. So ese/esa mean that, depending on the gender of the word that comes after them and esos/esas is thoses. ¿qué es eso? –> What is that? Aquel/aquella mean that over there, depending on the gender of the word that comes after them and aquellos/aquellas is thoses over there. ¿te acuerdas de aquello que me dijiste sobre Julia? –> Do you remember that you told me about Julia? I talk about a winter when I was a child I will use –> Aquel invierno. And that is all my friend! I hope you enjoy this lesson and you have learnt something new. Now it is your turn, leave a comment in the comment below with a sentences using one of these demonstratives we have seen. Have a good one and I will write you soon! 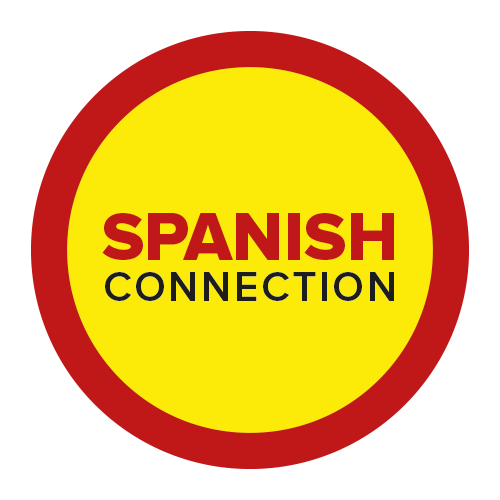 blancadt on Spanish phrases for better and more natural conversations with Native Speakers. We offer a large variety of courses to suit all kinds of schedules.